This year was the first year in a few years that our children were able to trick-or-treat thanks to the weather cooperating. A few past years of really cold weather that swooped in just in time to put a damper on the event coupled with rain caused one of my children to catch a cold. A cold wouldn't normally be a big deal unless your one with a compromised immune system or asthma induced by colds. We spent a few days in hospitals and emergency rooms after such occasions so whenever the weather proves to be less than stellar, we sit it out. They were beyond delighted to take their costumes out and impress others more so because the two oldest picked out their costumes and helped to piece mill them together. Alice didn't require much as I can admit, I wasn't in the mood to sew a costume mostly due to time restrictions. The Mad Hatter, on the other hand, allowed us to have some creativity as we perused through different shops to put a maddening costume. From Amazon to Ebay to the local Goodwill store, we were able to create this in a modest way of spending under $50. The bonus was a jacket and a pair of slacks she could rewear if she opts to. The two younger children were the brilliant creation of their mother, my daughter. She is an amazing creator of many things and sewing is one of her vast talents. 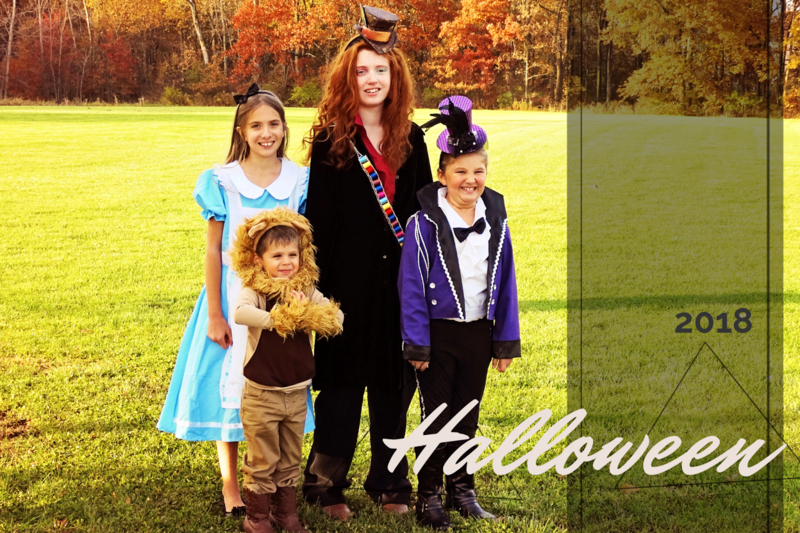 She made the circus ringleader costume as well as the lion shirt her son is wearing. I'm quite proud of her achievements and on a side note, she can bake a delicious and beautiful cake!